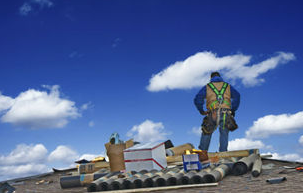 Looking for the Best Roofer in Littleton? You hear dripping sounds in your attic. You have noticed discoloration in your ceiling. You want an Expert Roof Inspection. Whatever your roofing or maintenance needs may be, look no further! 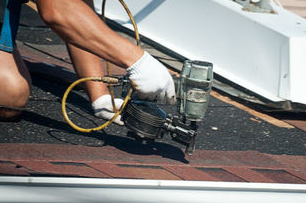 The Littleton Roofing Service is here to provide you with our quality services. For years, our experienced craftsmen have provided residents of Littleton, Highlands Ranch, Aurora and the Denver metro areas with the best roofing and exterior construction and repair service available. Despite being in Littleton, we service the entire front range; including Fort Collins, Colorado Springs, Fountain, and Pueblo. Whether it's a new roofing installation, a repair, or replacement, you can trust the experienced staff of this Littleton Roofer with all your roofing and exterior construction needs. Call us today at 720-545-0666! ...not a storm chaser from out of town. We are Licensed and bonded in the state of Colorado. Littleton Roofing Service knows Colorado. We know Littleton, Highlands Ranch, Englewood and the Denver Metro Area, as well as Colorado Springs. We know local codes and have relationships with the building department. This translates to a contractor who will get your job done right, The First Time. Dollars you and your insurance company spend with us end up right back in the local economy, keeping Colorado strong! We are experts in dealing with Insurance companies. Let us guide you through the complex process and be your advocate with the Insurance Adjusters for a hassle-free experience. In many cases, we've already developed relationships and a good reputation with the insurance company and their adjusters, allowing for a much more pleasant claims experience. We will be there to help with any questions or concerns regarding your insurance claim. 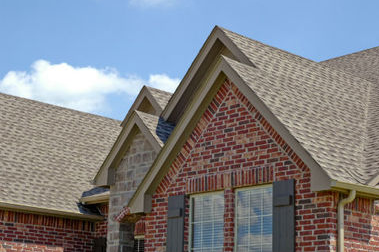 We only use the best materials from GAF, Certainteed, Owens Corning, and Temco to ensure a safe, efficient and beautiful roof that will last for many years to come and improve the value of your home. These manufacturers have proven time and again to have the most durable quality products available. Great roofing colors and options to choose from. Our rates are very reasonable. We work hard to ensure that your out of pocket expenses are minimized to every extent possible; without cutting corners. You will be thrilled with your final product, and will have the peace of mind knowing that you didn't spend a dime more than you had to. You will also have an energy efficient home that continues to save you money monthly. You and your neighbors will appreciate how quickly we get in and out. Our crews are fast, clean and professional. Because we know how to navigate the process with the insurance companies and the building department, we are able to start and finish projects very quickly with minimal impact to your routine. We are honest, trustworthy and reliable and can provide local references upon request. In the end, our reputation is the most valuable asset we've got and we go to great lengths to ensure that it is strong. We won't jeopardize it by betraying your trust or dropping the ball. You can count on us to give you an accurate analysis of your situation and deliver exactly what we promise, in the time frame we set. That's what we'd expect from any contractor working on our home, so that's what you get. In addition to Littleton's best roofing services, we can also provide superior exterior construction services for issues with Siding, Windows, Gutters, Framing, etc. We have very experienced craftsmen who know local building codes. They will show you the right options for your home and provide improvements that you will love. Hard Working, Professional, Craftsmen, Dependable, Well Trained, Experts, Tidy, Reliable, Helpful, Honest. 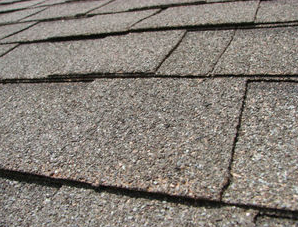 Let us provide you a free roof estimate and analysis! You can contact us at 720-545-0666. We would love to hear from you!